This is a fantastic recipe, and one I needed to share with you. 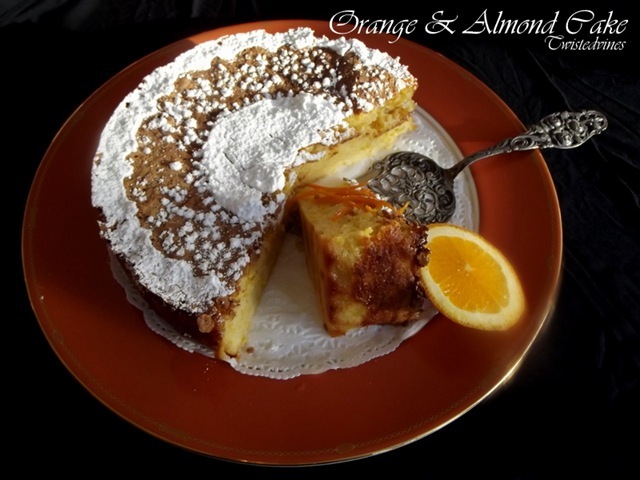 A Gluten-free flourless Orange & Almond Cake. With a small challenge in time management, I know you’ll be able to cope with this recipe. It needs an overnight cooling time, but the taste is well worth the wait. 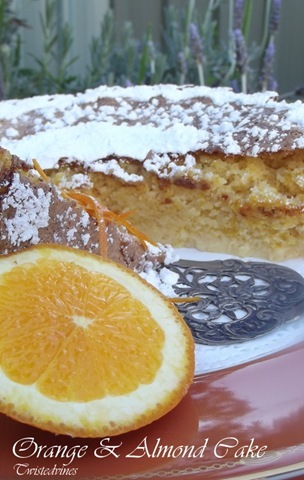 Your home will be filled with the delicious scent of citrus oranges, after baking this cake. Preheat oven to 170°C. Prepare a 22cm round cake tin, by spraying with cooking oil and line base and sides with baking paper. Put oranges in a saucepan and cover with water. Bring to the boil, reduce heat and simmer, covered, for 1 hour, ensuring oranges remain covered with water, weigh down with a heatproof plate, or saucepan. Transfer oranges to a plate and out aside to cool for 30 minutes or until they reach room temperature. Shhhh!….Let’s share a secret – Boil the oranges whole, this not only makes them extra sweet, it will fill your home with perfumed citrus aromatics. Cut the oranges into quarters and remove seeds. Put them into a food processor and pulse until smooth. Put eggs in the bowl of an electric mixer. Beat using the whisk attachment, for 2-3 minutes or until foamy and fluffy. Add caster sugar and whisk on high for 5 minutes or until thick and glossy. Add orange puree, almond meal and baking powder, and mix until well combines. Pour mixture into prepared tin. Bake for 1 and a quarter hours. (11/4 hours). Take out of oven and set aside for 6 hours or overnight…now this tempting …but resist, the cake needs this time to set fully. And it’s well worth the wait. Turn out the cake onto a serving cake stand or plate. 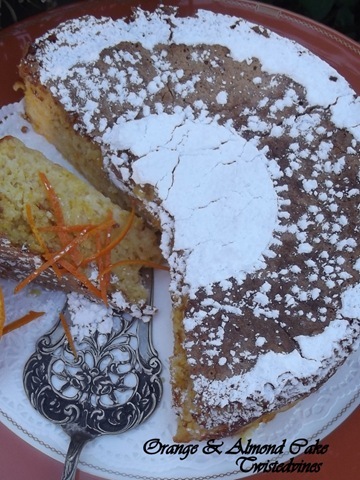 Dust with icing sugar, I made a pattern by using the outline of a paper doily. As an optional decoration for serving, add orange zest, almond slivers and a dollop of double cream. This cake is moist, delicious and a gluten free pleaser. This is a terrific recipe Yvette. Your site is looking great too. Beautiful photos! The cake looks delicious. 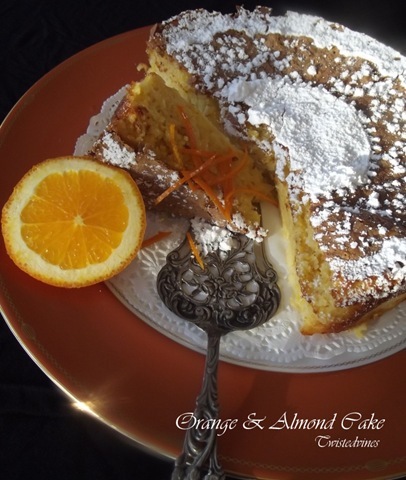 One of my favorite combos of flavors, and I’m bookmarking this beautiful cake for when our citrus season comes round again! This cake sounds — and looks — delicious, Yvette. To be honest, you had me when I read, “Your home will be filled with the delicious scent of citrus oranges …” Now that’s appetizing!